Today we will have a webinar about POI4XPages. 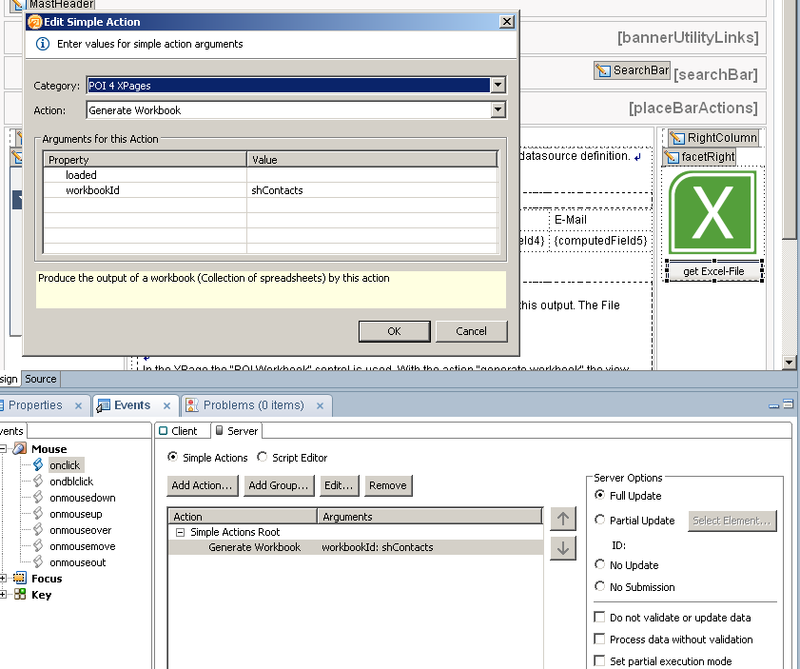 POI4XPages is plugin that enhance and extend the XPages / XWork platform. It gives you the freedom to produce Word and Excel files direct from a application. We are getting feedback around the globe for the plugin and it’s amazing to hear that developers use POI4XPages to deliver excellent solutions to their customers. POI4XPages is under the Apache V2 License, that means YES YOU CAN …. Bundling POI4XPages to a new set of plugins? Sounds like a good idea! Stay tuned we are thinking about some thing real cool @ OpenNTF. I hope that I can blog about it this week. Since version 1.1.6 is the Apache POI API available to the programmers. But in some situations it’s needed to execute Actions with privileged access. To give you the power of this in your hand, we introduce the AbstractPOIPowerAction. How it works? 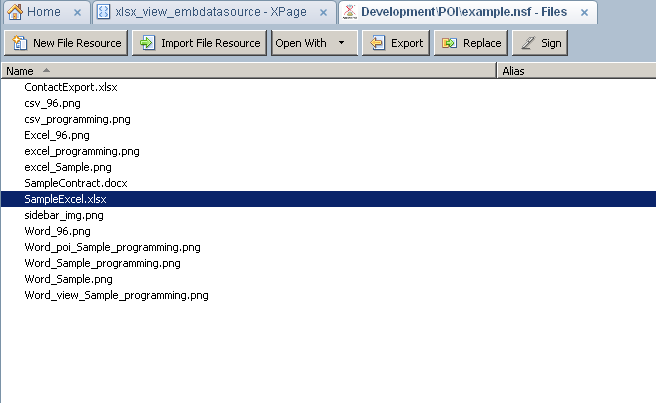 See the sample file_upload.xsp and the Java classes. You have the view designed and need the data as CSV or Workbook? The SimpleViewExport provide this behavior. 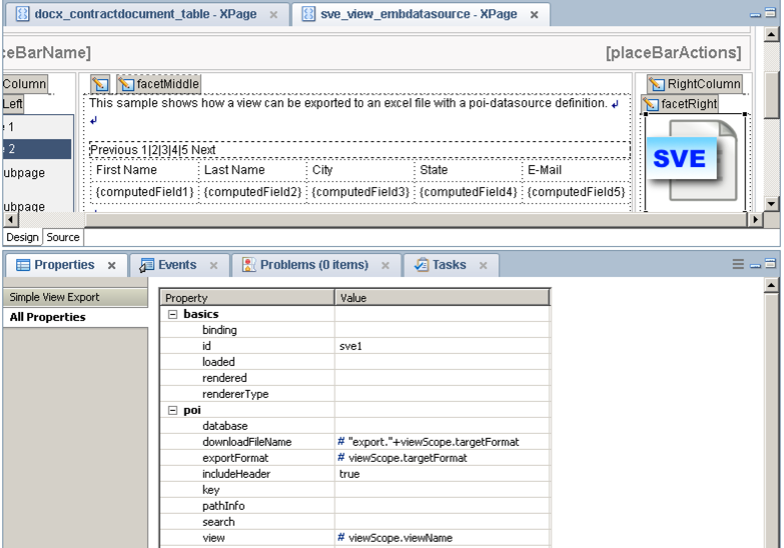 Examines the example database. See what you can do with all the controls. Download the project form OpenNTF. Visit the install guide and the documentation. Report bugs and request on GitHub. Today we release the version 1.1.5 of POI4XPages. The real big enhancement is the PDF-export for Wordfiles. Thanks to the programmers of docx4j and Apache FOP, we were able to integrate these projects into POI4XPages. Read also the blogpost about the odyssey of integration I wrote yesterday. 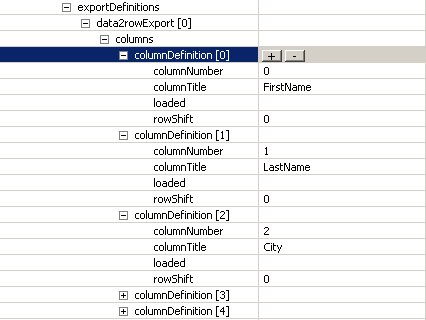 An other enhancement is computeValue for row and column export. Each cell can now be calculated. Have a look at the updated example database to see how to use this. Have fun and thanks to my team for making this happen. While I was visiting the IBMConnect in Orlando, Lena investigated about how to convert Word files into PDFs. Because of licence reasons, we decide to use docx4j in conjunction with Apache FOP. Both projects are licensed using the Apache V2 license, in opposition to iText. Lena built a prototype and tested it with Eclipse against the current JVM of the domino server. All worked fine and we started to integrate docx4j as new plugin project in POI4XPages. We also tested the plugin against a regular java programm. Everything worked fine. The next step was to integrate the creation of the PDF into the UIDocument and the DocumentGeneration classes. This worked fine as well but when we started the conversion it seemed that docx4j has lost its ‘Focus’. The conversion failed because it could not find ‘docx4j.properties’ and ‘log4j.properties’. The conversion function in the eclipse plugin was executed by a ClassLoader from Domino. This is not bad at all. But in this case, the context was absolutly relevant to find all the resource files in the docx4j.jar and all the classes. JAXB seems also to be classloading context sensitiv. We changed the ClassLoader context during the PDF conversion as you can see in the code below. The red marked code does the trick. currentThread.setContextClassLoader( Activator.class.getClassLoader() ) changes the ClassLoader context to the context of the plugin. When the conversion is done we change the ClassLoader context back to the old context. A happy ending to a long odyssey. The new release of POI4XPages will be released later this week, together with some bug fixes and new features. POI 4 XPages Version 1.1.0 released! Only a few hours and I will travel with Roman, Peter and Andre to the IBMConnect2013. The last years “LotusSphere 2012” (the old name of the IBMConnect) was a game changer in my life. I meet great people like Niklas Heidloff, Philippe Riand, Martin Donnelly, Dan O’Conner and many more. But these guys have inspired me to build myWebGate and POI 4 XPages. With version 1.1.0 we introduce a brand new feature in the workbook and document controll. A binding which we called postGenerationProcess. This feature is really powerful, let me explain why. 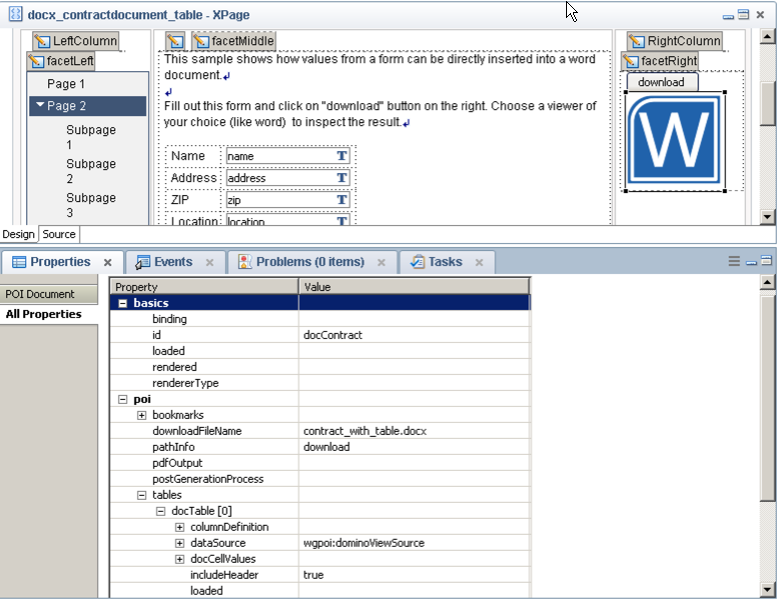 POI 4 XPages build your Workbook or Document with the “generate….” function. But when the action is started, you don’t have access to the Workbook or Document object. “postGenerationProcess” change this. In the postGenerationProcess your SSJS / Java Code will be executed, right before the Workbook or Document is transmitted from the server to the client. Imagine what you can do now, afert a document or a workbook is created! 1. 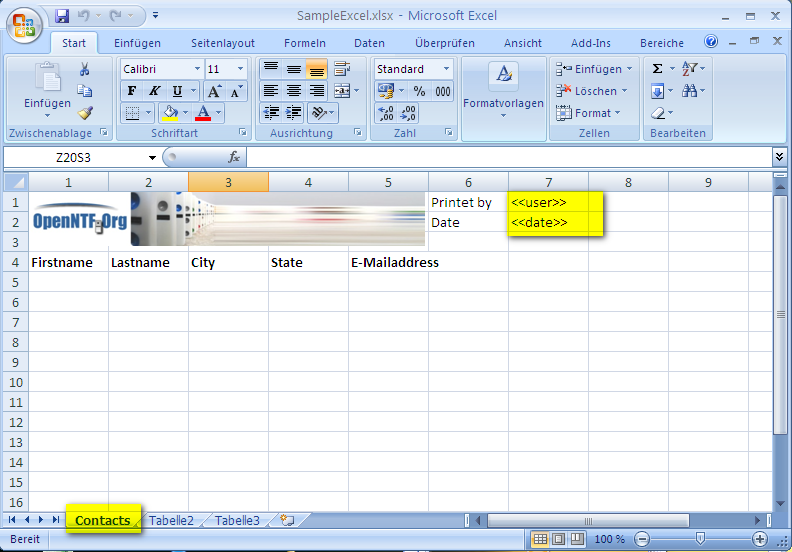 Prepare your Excel file and a export view. We have highlighted several things on the screenshot. 2. Open the XPage on which the export should be performed. 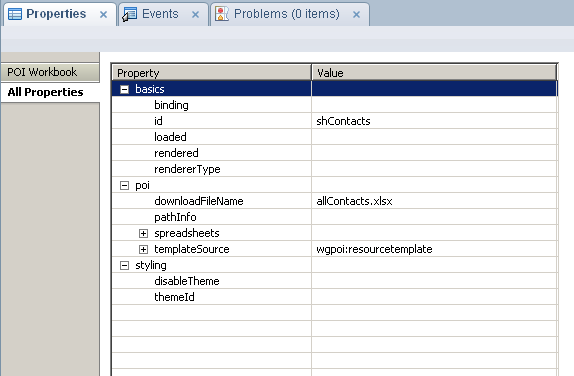 Select the POI Workbook control and switch to the properties panel. It’s time to configure the export. Add a templateSource to the element. 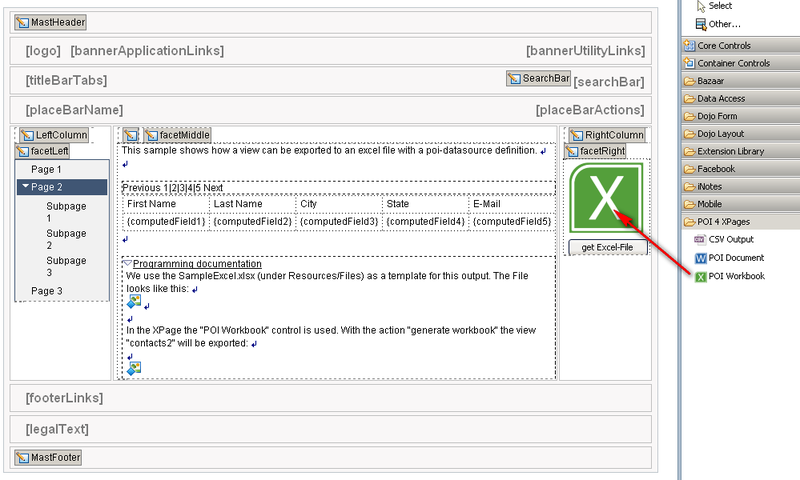 The template source defines which excel file will be used. You can choose between “resourcetemplate” (a resourcefile) or “attachmenttemplate” (a attachment in a document from a defined database). create: if yes is selected, the spreadsheet will be created if it doesn’t exist. Otherwise the spreadsheet definition will be ignored. With the definition of the cellBookmark all the <<user>> and <<date>> tags on the spreadsheet (not within the whole workbook) will be replaced with the specified values during the export. Be aware that you have to write ‘user’ instead of ‘<<user>>’ for the cellBookmark name. We can choose between data2rowexport and data2columnexport which represents the export direction. Each column needs a columnDefinition. Choose “Generate Workbook” and select the ID of workbook definition. Test it and have fun!